Sunday 10/28 Free Medical Camp – Nursing Volunteers Needed! 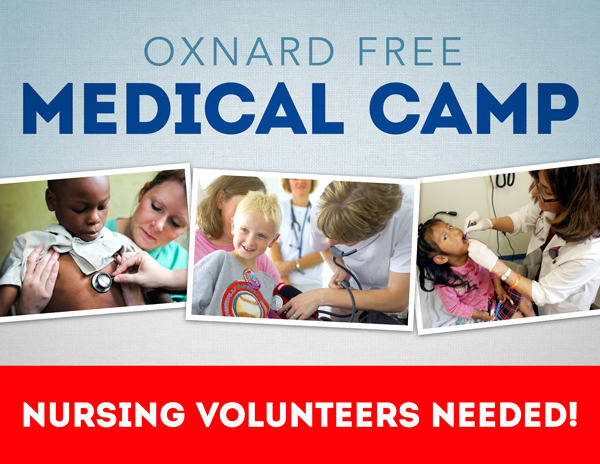 Stanbridge College invites you to volunteer at the 2012 Annual Oxnard Free Medical and Dental Screening Camp on Sunday, October 28, 2012. The medical camp will provide free medical and dental screening services to the public. This is your opportunity to work alongside professional medical staff, taking vitals and conducting other administrative tasks for different services provided. Time: 7:00 a.m. – 3:00 p.m.
REGISTER: CLICK HERE or email Victoria Sauer at vsauer@stanbridge.edu. Sign up today to gain real-world experience in the nursing field!